Expand your child’s imagination as they explore working with clay. Participants will make bunnies and birds out of clay on Friday, April 1st, and return on Friday, April 8th to paint them. Both sessions start at 6pm. $15 per child for both sessions. Please call the library at 649-5454 to register. Tracey Jean, instructor. You deserve a night out! Sit back, relax and unwind with friends, wine and canvas! Bring your own wine, beer or beverage of your choice, and enjoy a night of laughter and creativity while being led through an artistic painting or mixed media project. All materials and instruction provided. No need to attend every month - come when your schedule allows. Held on the third Wednesday of each month beginning March 16th. All sessions begin at 6pm. Age 21 and over. Please call the library at 649-5454 to register. Deadline to register is 1 week before the class is held. $20.00 per session. Participants will learn the definitions of predator and prey while meeting several live animal ambassadors. We will discuss the characteristics of these animal groups and introduce the concept of food chains/webs. Children must be accompanied by an adult. Friday, April 29th at 1 pm. Presented by Sue Gwise, Master Gardener & Horticulture Educator at Cornell Cooperative Extension for Jefferson County. May 11th at 6:30. Lyme Free Library is holding a small book sale in the back room of the library. All books are adult fiction. Hardcover books are $2, paperbacks are $1. The North Country Library System offers workshops on various computer topics. Each class is a one-time workshop held at The Lyme Free Library. All workshops are free! This is the perfect class for anyone who is new to Windows 8. Whether you have a little experience with older versions of Windows, or you just want to see what the new features of Windows 8 are, this class is for you.April 6th at 1pm. Please call 649-5454 to register. This class will cover organizing and sorting files and "cleaning up" your desktop. April 20th at 1 pm. Please call 649-5454 to register. We have a new collection of early Town of Lyme postcards for sale at the library – The National Hotel, “Navajo”, Crescent Yacht Club, Railroad Draw Bridge, Yacht Race on Chaumont Bay, Cove Cottage Schermerhorn Park, Union High School Three Mile Bay, Buttermilk Falls on the Chaumont River and The Chaumont Railroad Station. Postcards are .50 each. Book Talk, our book discussion group meets on the third Tuesday of each month at 7pm. Everyone is welcome - Please join us! Adult: Hard Cruel Shore by Lambdin, Blackjack by Parker, Breakdown by Kellerman, Brotherhood in Deathby Robb, Beyond the Silence by Peterson, Into the Magic Shop by Doty, When Breath Becomes Air by Kalanithi, Crocheted Scoodies by Melzer, Tiny House Living by Mitchell, On My Own by Rehm, NYPD Red 4by Patterson, Midnight Son by Nesbo, Burning Midnight by McIntosh, Salt to the Sea by Sepetys, Revenantby Punke. Children’s: Spring by Busby, Scuba Cat by Dean, When Spring Comes by Henkes, Rain Reign by Martin,Punk Skunks by Shaskan, Pax by Pennypacker, Let’s Paint by Alborozo, Good Night Truck by Odgers,Hibernation Station by Meadows, Olaf Welcomes Spring by Rubiano, Muddy Boots Outdoor Activities by Walsh, Star Wars the Force Awakens by Lucasfilm. My Name is Lucy Barton by Strout, Scandalous Behavior by Woods. Lyme Free Library is holding a special raffle of a beautifully framed and numbered Robert Bateman print titled “Cougar in the Snow”. Mr. Bateman is a famous Canadian naturalist and painter. Tickets are $5 each. Drawing will be held at our annual book sale on August 13, 2016. The April meeting will be held on the 11th at 6:45. All meetings begin at 6:45 pm, and are open to the public.Changes will be posted in the Library and on our web site lymefreelibrary.org. Are you a quilter? Do you want to get out and meet with others who share your interest? Join us every Tuesday at 6:45 to share project ideas and make friends with other quilters. Open to all! Free Kids Raffle at the Library! Each time a child checks out a book at the library, they may enter their name for a free drawing for a $10 gift card to Barnes & Noble Bookstore. Drawings are held on the last day of each month. 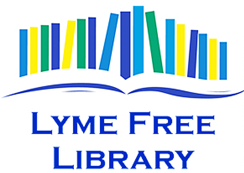 Lyme Free Library Story Time is a fun learning experience that parents and children can share together. Sessions include stories, songs, finger plays, and crafts for children. Please join us on Wednesdays at 11 am.